In this weeks parsha, Yaakov fights with the angel of Esau, the angel pleads with Yaakov to let him go because it is his turn to sing to H"Y. Yaakov only releases him on condition that the angel agrees to Yaakov's receiving of the blessings bestowed by Yitchok. The angel tells Yaakov that soon H"Y is going to change his name to Yisroel and will bless him, and there I will give my approval. Yaakov however insisted that the angel do so right then and there. 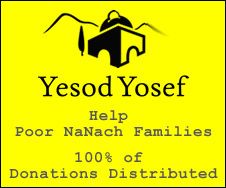 The name Yisroel begins with the letter Yud, if that letter is moved over to be the second letter (as the Arizal revealed that one should have this in mind when saying Shema Yisroel), the new word spelled is Shir El - the song of G-d - that song being the song that is single, double, triple, quadruple - Na Nach Nachma Nachma Nachman MeUman. That night was special, it was the night that angle of Esau would sing praises to H"Y, and Yaakov overcame the angel even at that time, and thus built himself the personality of The Song of H"Y, which was fully attained by Rabbainu, who set the song with his identity, Na Nach Nachma Nachman MeUman.